Not to be confused with Victor M. Hansen. Victor Davis Hanson (born September 5, 1953) is an American classicist, military historian, columnist and farmer. He has been a commentator on modern and ancient warfare and contemporary politics for National Review, The Washington Times and other media outlets. He is a professor emeritus of Classics at California State University, Fresno, the Martin and Illie Anderson Senior Fellow in classics and military history at Stanford University's Hoover Institution, and visiting professor at Hillsdale College. Hanson was awarded the National Humanities Medal in 2007 by President George W. Bush, and was a presidential appointee in 2007–2008 on the American Battle Monuments Commission. Hanson, a Protestant who is of Swedish and Welsh descent, grew up on his family's raisin farm outside Selma, California in the San Joaquin Valley, and has worked there most of his life. His mother, Pauline Davis Hanson, was a lawyer and a California superior court and state appeals court justice, his father was a farmer, educator and junior college administrator. Along with his older brother Nels, a writer, and fraternal twin Alfred, a farmer and biologist, Hanson attended public schools and graduated from Selma High School. Hanson received his BA with highest honors in classics and general college honors, Cowell College, from the University of California, Santa Cruz, in 1975 and his PhD in classics from Stanford University in 1980. He won the Raphael Demos scholarship at the College Year in Athens (1973–74) and was a regular member of the American School of Classical Studies, Athens, 1978–79. In 1991, Hanson was awarded American Philological Association's Excellence in Teaching Award, given annually to the nation's top undergraduate teachers of Greek and Latin. He was named distinguished alumnus of the year for 2006 at University of California, Santa Cruz. He has been a visiting professor of classics at Stanford University (1991–92), a National Endowment for the Humanities fellow at the Center for Advanced Studies in the Behavioral Sciences, Stanford, California (1992–93), an Alexander Onassis traveling fellowship to Greece (1999), as well as Nimitz Fellow at UC Berkeley (2006) and held the visiting Shifrin Chair of Military History at the U.S. Naval Academy, Annapolis, Maryland (2002–03), and often the William Simon visiting professorship at the School of Public Policy at Pepperdine University (2009–15), and was awarded in 2015 an Honorary Doctorate of Laws from the graduate school at Pepperdine. He gave the Wriston Lecture in 2004 for the Manhattan Institute. He has been a board member of the Bradley Foundation since 2015, and served on the HF Guggenheim Foundation board for over a decade. He is a Senior Fellow at the Hoover Institution and professor emeritus at California State University, Fresno, where he began teaching in 1984, having created the classical studies program at that institution. Since 2004, Hanson has written a weekly column syndicated by Tribune Content Agency, as well as a weekly column for National Review Online since 2001, and has not missed a weekly column for either venue since he began. He has been published in The New York Times, Wall Street Journal, The Times Literary Supplement, The Daily Telegraph, American Heritage, and The New Criterion, among other publications. He was awarded the National Humanities Medal (2007) by President George W. Bush, as well as the Eric Breindel Prize for opinion journalism (2002), and the William F. Buckley Prize (2015). Hanson was awarded the Claremont Institute's Statesmanship Award at its annual Churchill Dinner, and the Bradley Prize from the Lynde and Harry Bradley Foundation in 2008. Hanson's Warfare and Agriculture (Giardini 1983), his PhD thesis, argued that Greek warfare could not be understood apart from agrarian life in general, and suggested that the modern assumption that agriculture was irrevocably harmed during classical wars was vastly overestimated. The Western Way of War (Alfred Knopf 1989), for which John Keegan wrote the introduction, explored the combatants' experiences of ancient Greek battle and detailed the Hellenic foundations of later Western military practice. The Other Greeks (The Free Press 1995) argued that the emergence of a unique middling agrarian class explains the ascendance of the Greek city-state, and its singular values of consensual government, sanctity of private property, civic militarism and individualism. In Fields Without Dreams (The Free Press 1996, winner of the Bay Area Book Reviewers Award) and The Land Was Everything (The Free Press 2000, a Los Angeles Times notable book of the year), Hanson lamented the decline of family farming and rural communities, and the loss of agrarian voices in American democracy. The Soul of Battle (The Free Press 1999) traced the careers of Epaminondas, the Theban liberator, William Tecumseh Sherman, and George S. Patton, in arguing that democratic warfare's strengths are best illustrated in short, intense and spirited marches to promote consensual rule, but bog down otherwise during long occupations or more conventional static battle. In Mexifornia (Encounter 2003)—a personal memoir about growing up in rural California and an account of immigration from Mexico—Hanson predicted that illegal immigration would soon reach crisis proportions, unless legal, measured, and diverse immigration was restored, as well as the traditional melting-pot values of integration, assimilation, and intermarriage. Ripples of Battle (Doubleday 2003) chronicled how the cauldron of battle affects combatants' later literary and artistic work, as its larger influence ripples for generations, affecting art, literature, culture, and government. In A War Like No Other (Random House 2005, a New York Times notable book of the year), a history of the Peloponnesian War, Hanson offered an alternative history, arranged by methods of fighting—triremes, hoplites, cavalry, sieges, etc.) in concluding that the conflict marked a brutal watershed event for the Greek city-states. The Savior Generals (Bloomsbury 2013) followed the careers of five great generals, arguing that rare qualities in leadership emerge during hopeless predicaments that only rare individuals can salvage. The End of Sparta (Bloomsbury 2011) is a novel about a small community of Thespian farmers who join the great march of Epaminondas (369/70 BC) into the heart of the Peloponnese to destroy Spartan hegemony, free the Messenian helots, and spread democracy in the Peloponnese. Hanson has edited several collected essays (Hoplites, Routledge 1991), Bonfire of the Humanities (with B. Thornton and J. Heath, ISI 2001), and Makers of Ancient Strategy (Princeton 2010), as well as a number of his own collected articles (An Autumn of War [2002 Anchor], Between War and Peace [Anchor 2004], and The Father of Us All [Bloomsbury 2010]). He has written chapters for works such as the Cambridge History of War, and the Cambridge History of Ancient Warfare. Hanson is the author of the 2001 book Carnage and Culture (Doubleday), published in Great Britain and the Commonwealth countries as Why the West Has Won, in which he argued that the military dominance of Western civilization, beginning with the ancient Greeks, results from certain fundamental aspects of Western culture, such as consensual government, a tradition of self-critique, secular rationalism, religious tolerance, individual freedom, free expression, free markets, and individualism. Hanson's emphasis on cultural exception rejects racial explanations for Western military preeminence and disagrees as well with environmental or geographical determinist explanations such as those put forth by Jared Diamond in Guns, Germs, and Steel (1997). American military officer Robert L. Bateman, in a 2007 article on the Media Matters for America website, criticized Hanson's thesis, arguing that Hanson's point about Western armies preferring to seek out a decisive battle of annihilation is rebutted by the Second Punic War, in which Roman attempts to annihilate the Carthaginians instead led to the Carthaginians annihilating the Romans at the Battle of Cannae. Bateman argued that Hanson was wrong about Western armies' common preferences in seeking out a battle of annihilation, arguing that the Romans only defeated the Carthaginians via the Fabian Strategy of keeping their armies in being and not engaging Hannibal in battle. In his first response, Hanson argued that Bateman was engaged in a "puerile, politically correct" attack on him, and of being motivated by current left-wing politics rather a genuine interest in history. In a second response, Hanson called Bateman's use of personal, adolescent invectives such as "pervert", "feces", and "devil", as unprofessional and "unhinged", and had no role in scholarly disagreements, accusing Bateman of being poorly informed of history and geography, as well as engaging in conduct unbecoming a U.S. Army officer. Hanson declared that Bateman was incorrect about the Battle of Yarmouk arguing that the Golan Heights were at the edge of the Eastern Roman Empire, instead of being in the center as Bateman argued, and claimed that the Romans lost because of divided leadership rather than as a result of superior Islamic generalship as Bateman had contended. Hanson co-authored the book Who Killed Homer? The Demise of Classical Education and the Recovery of Greek Wisdom with John Heath. The book explores the issue of how classical education has declined in the US and what might be done to restore it to its former prominence. This is important, according to Hanson and Heath, because knowledge of the classical Greeks and Romans is necessary to fully understand Western culture. To begin a discussion along these lines the authors state, "The answer to why the world is becoming Westernized goes all the way back to the wisdom of the Greeks—reason enough why we must not abandon the study of our heritage". Hanson is a traditional conservative who voted for George W. Bush in the 2000 and 2004 elections. Hanson was a defender of George W. Bush and his policies, especially the Iraq War. He was also a vocal supporter of Bush's Secretary of Defense Donald Rumsfeld. Hanson wrote of Rumsfeld that he was: "a rare sort of secretary of the caliber of George Marshall" and a "proud and honest-speaking visionary" whose "hard work and insight are bringing us ever closer to victory". Hanson is a supporter of Donald Trump, authoring a 2019 book A Case for Trump. Trump praised the book. In the book, Hanson defends Trump's insults and vile language as "uncouth authenticity", and praises Trump for "an uncanny ability to troll and create hysteria among his media and political critics." According to Washington Post book critic Carlos Lozada, the book "focuses less on the case for Trump than on the case against everyone else," in particular attacking Hillary Clinton. According to Lozada, Hanson indulges "in casual sexism, criticizing Clinton’s “shrill” voice and her “signature off-putting laugh,” and inexplicably suggesting that while “Trump’s bulk fueled a monstrous energy; Hillary’s girth sapped her strength.”" Hanson praises the Trump administration for its "inspired" and "impressive" Cabinet members. In the book, Hanson blamed Barack Obama for "deliberately [whipping up]" "much of the current division in the country" while not covering at all Trump's birtherism or attacks on Muslims. The book likens Trump to a hero of ancient literature, sacrificing himself for the greater good. Anton expressed support for Trump's proposed border wall on the Southern border, saying that walls around houses deter criminals. He has been described as a neoconservative by some commentators, for his views on the Iraq War, and has stated, "I came to support neocon approaches first in the wars against the Taliban and Saddam, largely because I saw little alternative." Hanson's 2002 volume An Autumn of War called for going to war "hard, long, without guilt, apology or respite until our enemies are no more." In the context of the Iraq War, Hanson wrote, "In an era of the greatest affluence and security in the history of civilization, the real question before us remains whether the United States— indeed any Western democracy—still possesses the moral clarity to identify evil as evil, and then the uncontested will to marshal every available resource to fight and eradicate it." In July 2013, then-Attorney General Eric Holder gave a speech when he mentioned that as a black man the need to deliver "the Talk" to his children, namely he would have to inform his children that some, mostly white people who were going to hate them not because what they did, but simply because of their skin color. In response to Holder's speech, Hanson wrote a column titled "Facing Facts about Race" where he offered up his own version (and others') of "the Talk", namely the need to inform his children to be careful of young black men when venturing into the inner city, who Hanson argued were statistically more likely to commit violent crimes than young men of other races, and that therefore it was understandable for the police to focus on groups with the highest statistical crime rates, which turn out to be young black males. Hanson wrote his father once had been robbed by young black men, and had given him "the Talk" warning his son to exercise caution in known crime-ridden areas and to note that African-American male youth have a far higher incidence of assault than other groups; and Hanson added that having been robbed himself by black men, he had given "the Talk" warning his children to avoid situations when in dangerous areas and to exercise caution there when encountering groups of young African-American men when alone, whom Hanson argue were statistically more likely to have had criminal records. Hanson therefore criticized Holder and Obama for suggesting that racism may have been a factor in the trial of Hispanic George Zimmerman who had been charged and acquitted of murder with the shooting death of Trayvon Martin—and especially for intruding in an ongoing criminal case before a jury had even been selected. Hanson argued that Zimmerman was later found by a jury of his peers to be justified in shooting Martin in self-defense, and he suggested that Obama was alluding to racism being a factor in the case, to distract attention from his then unpopular presidency. Referring to the concurrent case at the time of two Vietnamese-Americans killed by a black convicted felon, Hanson wrote: "The world will long remember Trayvon Martin, but few people—and certainly not Barack Obama or Eric Holder, who have a bad habit, in an increasingly multiracial country, of claiming solidarity on the basis of race—will care that Khin Min and Lina Lim were torn to pieces by bullets and a knife. Few will care that they died in a vicious assault that had nothing to do with stereotyping, Stand Your Ground self-defense, weak gun laws, insufficient federal civil-rights legislation, or any of the other causes of interracial violence falsely advanced by the attorney general—but quite a lot to do with an urban culture that for unspoken reasons has spawned an epidemic of disproportionate violent crime on the part of young African-American males." In response to "Facing Facts About Race", writer Ta-Nehisi Coates accused Hanson of racism and stupidity. Referring to Hanson's "Talk", Coates wrote: "Let us be direct—in any other context we would automatically recognize this 'talk' as stupid advice. If I were to tell you that I only employ Asian-Americans to do my taxes because 'Asian-Americans do better on the Math SAT', you would not simply question my sensitivity, but my mental faculties. That is because you would understand that in making an individual decision, employing an ancestral class of millions is not very intelligent. Moreover, were I to tell you I wanted my son to marry a Jewish woman because 'Jews are really successful', you would understand that statement for the stupidity which it is ... There is no difference between my argument above and the notion that black boys should be avoided because they are overrepresented in the violent crime stats. But one of the effects of racism is its tendency to justify stupidity." British-born American journalist Andrew Sullivan called Hanson's column "spectacularly stupid", writing: "Treating random strangers as inherently dangerous because of their age, gender and skin color is a choice to champion fear over reason, a decision to embrace easy racism over any attempt to overcome it". 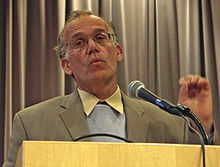 American journalist Arthur Stern called "Facing Facts About Race" an "inflammatory" column based upon crime statistics that Hanson never cited, writing: "His presentation of this controversial opinion as undeniable fact without exhaustive statistical proof is undeniably racist." Anglo-American journalist Kelefa Sanneh, in response to "Facing Facts About Race", wrote "It's strange, then, to read Hanson writing as if the fear of violent crime were mainly a "white or Asian" problem, about which African-Americans might be uninformed, or unconcerned—as if African-American parents weren't already giving their children more detailed and nuanced versions of Hanson's "sermon," sharing his earnest and absurd hope that the right words might keep trouble at bay." Hanson, in response to Sanneh's essay, accused him of a "McCarthyite character assassination" and "infantile, if not racialist, logic". Hanson was a critic of Obama. Hanson criticized the Obama administration for engaging in "appeasement" of Iran, and "appeasement" of Russia. Hanson blamed Obama for the outbreak of the war in Ukraine in 2014. Hanson has argued Obama failed to maintain a credible threat of deterrence, and put the world on the precipice of another war comparable to the Second World War. ^ a b c "Classical Studies Program". Retrieved September 4, 2016. ^ "Victor Davis Hanson articles". Tribune Content Agency. Retrieved October 9, 2018. ^ a b Bateman, Robert (October 29, 2007). "Bateman on Hanson, Round 1: Cannae, 2 August 216 B.C." Media Matters. Retrieved August 24, 2016. ^ Hanson, Victor Davis (November 5, 2007). "Squaring Off: Part II". Victor Davis Hanson's Private Papers. Retrieved August 24, 2016. ^ a b Hanson, Victor Davis (November 22, 2007). "Bateman Encore". Victor Davis Hanson's Private Papers. Retrieved August 24, 2016. ^ Victor Davis Hanson and John Heath, Who Killed Homer? The Demise of Classical Education and the Recovery of Greek Wisdom (San Francisco: Encounter Books, 2001), p. 28. ^ "Who Killed Homer? The Demise of Classical Education and the Recovery of Greek Wisdom". Foreign Affairs. ^ "MHA...An Association of Montana Health Care Providers". Archived from the original on September 4, 2016. Retrieved September 4, 2016. ^ "Who Killed Homer?". The Montana Professor. ^ "NYU> Classics> Joy Connolly". Retrieved September 4, 2016. ^ "Victor Davis Hanson and John Heath, Who Killed Homer? The Demise of Classical Education and the Recovery of Greek Wisdom". Bryn Mawr Classical Review. ^ Interview, Proceedings, March 2003. ^ Leave Rumsfeld Be – He is not to blame for our difficulties Archived July 13, 2012, at the Wayback Machine, Victor Davis Hanson, National Review, December 23, 2004. ^ a b c d e f g h i Lozada, Carlos (2019). "Thinking for Trump: Other presidents had a brain trust. But the intellectuals backing this White House are a bust". The Washington Post. ^ Kakutani, Michiko (April 5, 2003). "CRITIC'S NOTEBOOK; How Books Have Shaped U.S. Policy". The New York Times. ISSN 0362-4331. Retrieved March 17, 2019. ^ Schmidt, Brian C.; Williams, Michael C. (May 22, 2008). "The Bush Doctrine and the Iraq War: Neoconservatives Versus Realists". Security Studies. 17 (2): 191–220. doi:10.1080/09636410802098990. ISSN 0963-6412. ^ a b c d e Victor Davis Hanson (July 23, 2013). "Facing Facts About Race". National Review Online. ^ a b Te-Nehisi Coates (July 23, 2013). "It's the Racism, Stupid!". The Atlantic. ^ Andrew Sullivan (July 23, 2013). "It's Not Racist …". The Daily Dish. ^ Arthur Stern (July 25, 2013). "A Millennial Takedown Of Victor Davis Hanson's 'Facts About Race'". News.Mic. ^ Kelefa Sanneh (July 24, 2013). "A Sermon on Race from National Review". The New Yorker. ^ "Untruth at the New Yorker". Victor Davis Hanson's Private Papers. July 29, 2013. ^ Drezner, Daniel W. "Meet the revisionist George W. Bush -- pretty much the same as the old George W. Bush". Foreign Policy. Retrieved March 17, 2019. ^ Victor Davis Hanson (November 4, 2014). "Sizing America Up". Victor Davis Hanson's Private Papers. ^ Victor Davis Hanson (October 13, 2015). "The Road to Middle East Perdition". Victor Davis Hanson's Private Papers. ^ Victor Davis Hanson (February 11, 2014). "The Value of Putin". Victor Davis Hanson's Private Papers. ^ Victor Davis Hanson (June 19, 2015). "The New World Map". Victor Davis Hanson's Private Papers. ^ Victor Davis Hanson (July 30, 2014). "Our Russia Experts". Victor Davis Hanson's Private Papers. ^ Victor Davis Hanson (May 19, 2016). "How Barack Obama's Foreign Policy De-Stabilized the World". Victor Davis Hanson's Private Papers. ^ Fredric Smoler[permanent dead link] "Study of the War on Terrorism: The View from 400 B.C.," American Heritage, Nov./Dec. 2006.